Yet another state, Illinois, has proposed a law on "Dangerous Animals" that includes constrictor snakes. The Illinois Dangerous Animals Act of 2012, Senate Bill SB3264, introduced by Sen. Heather A. Steans on Wednesday identifies a class of animals that qualify as dangerous animals, requires that a person must hold a Dangerous Animal Permit or a Limited Entry Permit to possess a dangerous animal in the State and sets forth requirements that must be met before the Department of Natural Resources may issue a Dangerous Animal Permit or a Limited Entry Permit, among other things. collared snakes; Philodryas, such as palm snakes or green racers; Psammophis, such as sand snakes or racers; Psammophylax, such as skaapstekers; Rhabdophis, such as keelbacks; Rhamphiophis, such as beaked snakes; Tachymenis, such as slender snakes or false vipers; Thelotornis, such as Twig snakes; Thrasops, such as black tree snakes; Tomodon, such as Pampas snakes; Waglerophis, such as Wagler's snakes; Xenodon, such as false fer-de-lances; Boiga irregularis, including specimens or eggs of the brown tree snake; and any others that the Department designates, by administrative rule, as outlined or deemed medically significant. (15) All members of the Boidae family, such as boas, pythons, and anacondas as provided by the Department by administrative rule. (16) All members of the order Crocodilia, such as crocodiles, alligators, caimans, and gavials; members of the Varanidae family, such as Nile, water, and crocodile monitors as well as Komodo dragons. (17) Medically significant poisonous amphibians capable of causing bodily harm to humans or animals, including, but not limited to, Bufo marinus, such as cane or marine toads, and Bufo alvarius, such as Colorado River toads. Just for good measure they have also included a variety of spiders and scorpions as well. Thanks to Jeff West for bringing this to my attention. Continue reading "Illinois proposes Dangerous Animals Act SB3264"
All species of the family Viperidae, such as rattlesnakes, pit vipers, and puff adders. No further action will occur on HB 1242 this legislative session, but the bill will remain in committee for further consideration during the second year of the session (2013). "PIJAC will continue working with the sponsor concerning objections to this legislation. Please note that Senate Bill 477, which also bans possession of certain species of animals, remains active at this time. The bill is currently in the Senate Committee on Agriculture, Conservation & Natural Resources. PIJAC is working with interested parties on addressing concerns about this legislation as well. PIJAC will publish an updated PetAlert when there is any change in status on either of these bills. For additional information on these bills, or other legislation impacting the keeping, breeding or selling of pets, please feel free to contact PIJAC’s Michael Maddox at 202-452-1525, ext. 106, or via email at michael@pijac.org with questions or concerns. " Just before leaving office, former Ohio governor Ted Strickland enacted a fast and wide-sweeping ban on exotic pets that made many reptile keepers criminals. The 90 day emergency order is expiring; what is new Governor John Kasich doing about it? 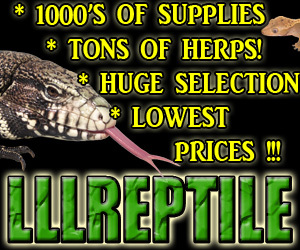 Notice the danger from reptiles was never addressed, but they were added in with the other exotic pets. This leaves reptile owners hoping Kasich is not as easily swayed by animal rights lobbying groups and can stand up for pet owners.